Gone are the days of taking Cool to the vet every week to change his cast. Thankfully, Cool got his new support brace last week. And, he is already getting used to walking with it! He wears his brace during the day, then we take if off at night before bed. 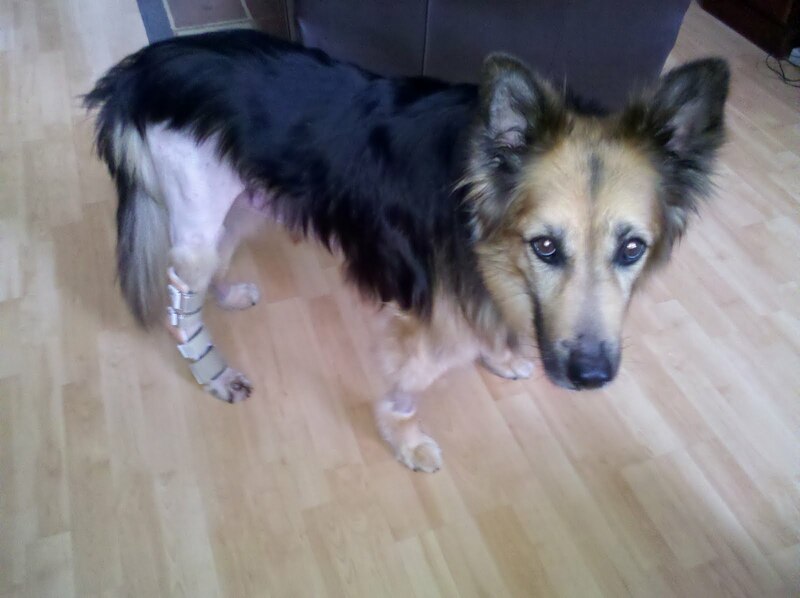 We watched him last night take a few steps without the brace as he was settling down to sleep. His hock looks pretty good, not as low as it was. 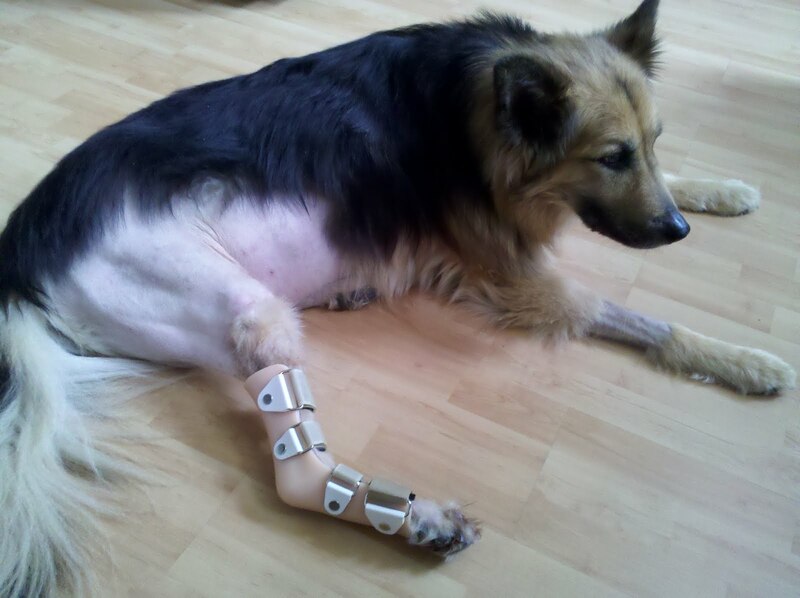 He is still weak though so it's a good thing that he has this brace for extra support. The velcro straps make it pretty easy to put on and take off. The doctor did an awesome job at creating this custom fit brace. 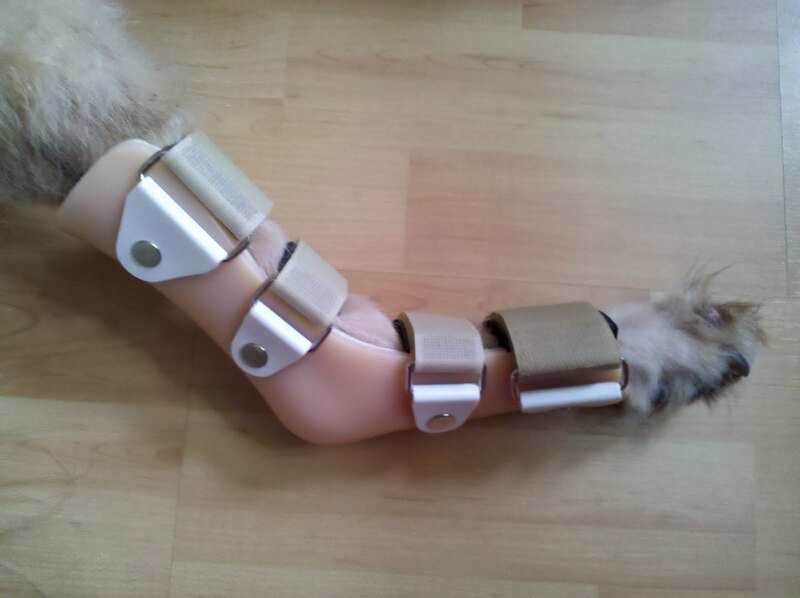 The mold that was made of Cool's leg and foot makes the brace form-fitting so it doesn't slip and slide has he walks. It's made of some sort of durable plastic outer casing with cushion interior and the craftsmanship is impressive. 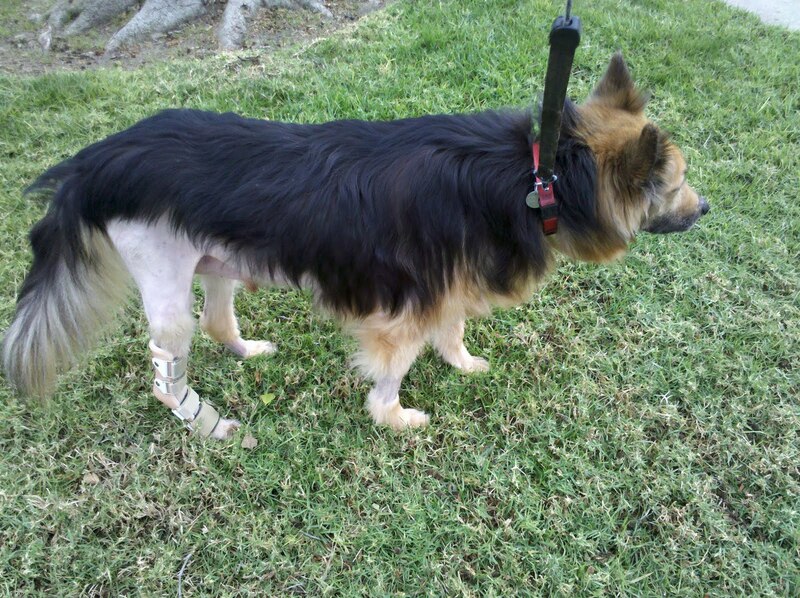 We're very lucky to have had such great care at the La Mesa Hospital - Pet Emergency Speciality Center. Everyone there knows Cool by name and greats him a smile. Dr. Serdy was Cool's surgeon. We can't thank him and his staff enough. He was the one who recommended we get the custom fit brace. That's when he introduced us to Kel, Certified Prosthetist/Orthotist with SCOPe. We did some research online for braces beforehand and found a few but we weren't sure if they would work. The extra cost of the custom-fit brace is worth the peace of mind knowing that Cool is comfortable.